Historical landmarks throughout the country provide all citizens with a physical, present experience of our history. Through these landmarks you can not only observe but in many cases feel the original work and walk the spaces of the past. Historical homes help us remember important persons as we can view intimately how they lived; we get to see the most sacred of spaces, their internal sanctum, their home. Where did they read at night for inspiration, where did they write that novel, where did they meet the important guests and characters in their lives? All of these things we can glimpse through seeing history preserved in rock and mortar. Historical homes also allow us to visualize and experience architecture, culture, events and community history. They help tell the story of how our town and communities came to be and developed. This brief article will summarize how one protects a historical home. This will include how to register the home with the state and federal government. Also, we will look at incentives and resources aiding the owners in the task of preserving these properties. Additional links to state resources, historical homes for sale, historical home supplies and construction and spotlights of a few famous historical homes are also included. Even if you do not own a historical home, we welcome you to take a look into how these bits of our history are protected, preserved and continue to participate in and educate our communities. The National Historic Preservation Act of 1966 (amended in 1992) provides guidelines for federal, state and local governments to work with non-profit organizations and the public to preserve our historical places. The preservation is handled through the National Park Service which administers the National Register for Historic Places. Historical places can be buildings, structures, sites and objects that speak for American history, architecture/engineering, and culture. This can be as varied as a historic home to an archaeological site. A few places that are considered to represent the nation on a whole may also be registered in the National Historic Landmarks program; however, this membership is harder to obtain (there are only 2,500 of these sites nationally). Our concentration will be on the large listing (79,000 sites and growing) of the National Register. These four basic guidelines can encompass quite a bit of history. However, there are some limitations as well. Properties must be over 50 years old; to get a younger property registered an owner must prove "exceptional importance" such as might be recognized immediately for its reflection of an extraordinary political event or architectural innovation. Other limitations may include cemeteries, historical figures birthplaces and gravestones, religious structures, moved or reconstructed structures and commemorative structures. As with the 50 year rule there are exceptions for these limitations. In conclusion, if an individual or group feel a property meets the right criteria and should be registered they will need to nominate the property for review. Any person or group may nominate properties for the National Register. Nominations, depending on the properties significance and location, are nominated through theState Historical Preservation Officer (SHPO), the Federal Preservation Officer (FPO)or the Tribal Preservation Officer (TPO). In most instances nominators will start with the SHPO for their state. The officer will then recommend the nominated property be reviewed by the state review board which consists of historians, architects, archaeologists and other professionals. The board then makes the recommendation to approve or disapprove the registration back to the SHPO. During the time the property is being reviewed, the public is notified the property may be registered. This may include the property owner, who may not have nominated the property themselves. If the owner at that time does not wish the property to be registered they can reject the proposal. The property will not appear on the national register, however, the nomination may be forwarded to the National Park Service only as a determination of eligibility in case a future owner would wish to have the property registered. Although the process varies from state to state, there is usually a minimum of 90 days to process. Once a recommendation is made to the National Park Service, the nominators will know the decision within 45 days. Once a property is registered the owner may expect some changes. Under Federal law, owners of private property listed in the National Register are free to maintain, manage, or dispose of their property as they choose provided that there is no Federal involvement. Owners have no obligation to open their properties to the public, to restore them or even to maintain them, if they choose not to do so. However, state and local preservation laws may be more restrictive of what property owners may do once a the property is registered (the SHPO will have further details about the restrictions in your state). Some properties will obtain Federal historic preservation grant funding or investment tax credits for rehabilitation. Participation in these Federal programs may include more restrictions. As for changes to a structure or site, drastic alterations or physically moving a property when not absolutely necessary may effect the property's status. If, for example, the remodeling of the structure is enough to destroy and remove its historical significance, the property may be removed from the registry. Finally, a property may be affected by recommendation of the Advisory Council on Historical Preservation's recommendations at the federal level. However, inclusively, federal, state and local governments want to work with historical property owners to entice them to preserve our history. Property owners should contact the SHPO for more specific answers about local and federal benefits and restrictions. Registering a home on the National Register for Historical Places is a relatively straight forward process. Contacting SHPO (or FPO or TPO) is the first step in reviewing what changes to expect and what forms need to be completed. With a little patience and research a home can be registered and protected as a part of our history. Now that it is registered, let us examine what resources are available for the renovation and upkeep of these places. The restoration of historical homes can be both overwhelming and expensive. Obtaining expert advise from contractors, architects, and historians (to name a few) can be invaluable to the homeowner. Research may be necessary to understand how the home looked, was furnished and functioned in the past. Also, it may be necessary to update older systems of plumbing, wiring, and replace lead-based paint (again, to name only a few). To begin the renovation process the home owner will first consider where the funding will come from, what projects need to be done, and finally, what the ultimate function of the historical home will be. There are many grants and sources of funds to help ease the impact of these improvement costs. The funds available to owners of historical properties vary both nationally and locally. Nationally the most common is the Federal Historic Preservation Tax Incentive which entitles those qualified a 20% tax break. However, to obtain the credit the property does have to be used commercially for at least 5 years; usually as a rental or an apartment, in some cases use as an office may be sufficient. Local grants, loans and state tax incentives are not always available. To find what locally based programs there are contact your local government agencies such as the Historic Development Commission, Department of Planning and Economic Development, Housing and Redevelopment, and State Historic Preservation Office. When they are available the funds may come with certain restrictions or requirements. For example, some funds are only available to non-profit organizations or a grant may be offered that requires owners to share property with the public through tours or other educational outreach programs. Finally, involving family and community in the restoration project can help tremendously. Receiving help from the community may again mean opening up your home to educational programs or tours. However, when owning a historical home, sharing the history is part of the fun! So you have some money in your pocket; now you must decide what you want to restore first. Make every effort to use the building for its original purpose. Do not destroy distinctive original features. Recognize all buildings as products of their own time. Recognize and respect changes that have taken place over time. Treat sensitively distinctive stylistic features or examples of skilled craft work. Repair rather than replace worn architectural features when possible. When replacement is necessary, new material should match the old in design, composition, and color. Clean facades using the gentlest methods possible. Avoid sandblasting and other damaging methods. Protect and preserve affected archeological resources. Compatible contemporary alterations are acceptable if they do not destroy significant historical or architectural fabric. Build new additions so they can be removed without impairing the underlying structure. Once you have clarified the tasks that need to be done, hiring a contractor, plumber, architect or electrician (to name a few) will be an important step in the renovation of your historical home. Make sure to take time to interview and speak with several professionals to find one with the most experience and knowledge about historical homes. Again, the National Trust for Historic Preservation has compiled good short summaries about choosing professionals. When making any renovations to the historic home it is important to keep in mind the purpose of the house. 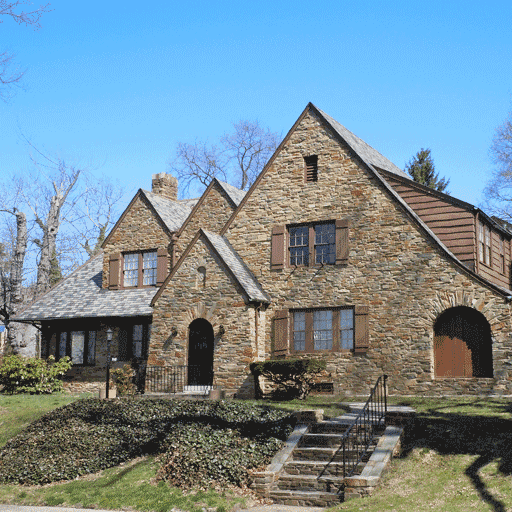 The functions of a historical home can be varried. For some home owners they simply want to renovate and enjoy the historical building as their home. When making improvements, owners will be more concerned about updating creature comforts and creating an esthetic environment for their family. On the other hand, some will choose to live in the historic home but also dedicate rooms or floors as public museums. When making renovations for these homes a balance should be kept between updating the living space that will be used while keeping museum spaces closer to the feel and accuracy of the time they represent. Brand new faucets upstairs in the family bath are great but a stainless steel countertop in a 19th century room may look a bit out of place. Finally, others will live in the historic house but also rent out rooms for guests and small conferences. Historic homes can make an ideal bed and breakfast. This may create additional renovation challenges such as access ability and practical updates for the comfort of guests (i.e. adding and updating a bathroom or two). However, owners will want to keep in mind the historic atmosphere of the home. Visitors are drawn to historical B&Bs because of the sense of walking into the past. Keeping antiques relevant to the time or using period correct wall treatments (i.e. wallpaper patterns) are just a few ways to help keep the historic feel of the home. If creating a bed and breakfast out of a historical home is the goal, then reading about the B&B business will be helpful. Whatever the function of the historical home, the project should remain fun and rewarding. The restoration of a historic homes can be expensive and daunting. However, it is also very rewarding, a wonderful chance for connecting to the past and community (and can be a great home too!). Whether your historic building will be a home, museum, B&B or all the above, having a game plan before starting renovations is a great idea. Make sure the plan protects the hisotry of the home so that the character and craftsmenship of the home is not lost in the renovation. Enlisting professionals and the community will help. In the end it really can be very rewarding! A lot can be said for the structures a society builds. When looking at buildings from the past one can get a sense of style, comfort and culture from previous generations. A family and/or a community may learn more about where they came from. To preserve historical homes, individuals or communities need to take the time to submit the home to the National Register for Historical Places. Once this is done the home may still be used for varying purposes from a living space to a museum. In some cases funding is available to help in the daunting task of renovation. In the end historical homes are a tough investment that with a bit of research can turn in to a rewarding home and much more.